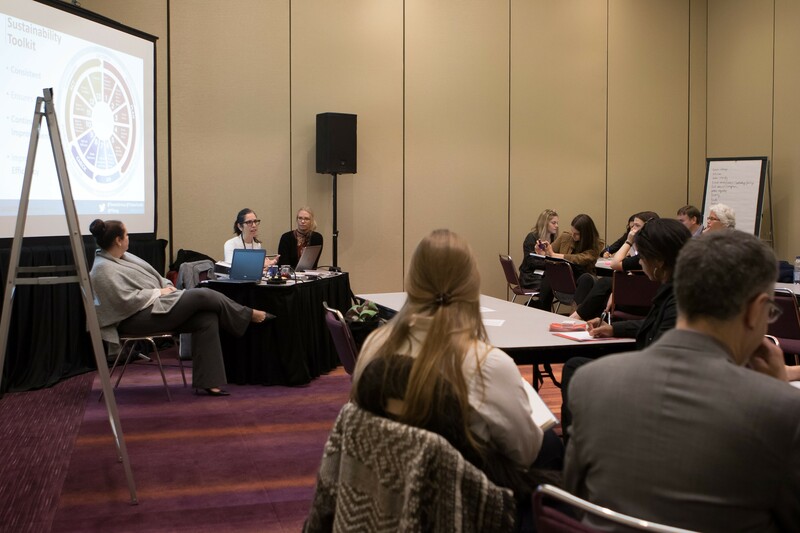 A WEAR in Review.... - Tavares Group Consulting Inc.
On November 1st & 2nd, 2016 Fashion Takes Action hosted the third annual World Ethical Apparel Roundtable (WEAR) at the Metro Toronto Convention Centre. 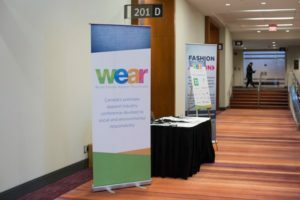 WEAR is the only sustainable business conference that focuses entirely on fashion, providing a forum where global experts can come together to share best practices and inspire engagement to tackle the industry’s biggest sustainability issues. 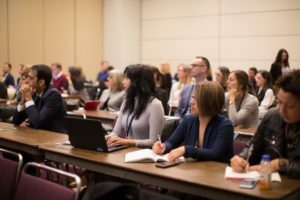 The two-day event hosted more than 175 attendees from the apparel and textile sectors, who explored the themes of Supply Chain, Textile Waste, and Innovation through a series of panel discussions, keynotes and LABS. 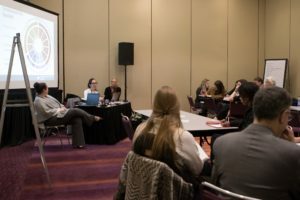 Experts presented a series of panels focusing on social, economic and environmental issues within the supply chains of the apparel and textile sectors. Recent events, such as the Rana Plaza collapse in 2013, have increased public attention on the social risks and human rights issues that often occur downstream in the supply chain, including unfair wages and working hours, and health & safety violations. The fashion industry also faces a number of environmental risks including, resource availability and chemical use. As the public becomes more informed regarding sustainability, pleading ignorance to supplier practice is no longer considered an acceptable defence for apparel and textile brands. To successfully mitigate these risks, organizations must have a good understanding of their supply chain and the jurisdictions in which their suppliers operate. Proper management and mapping of the supply chain can help brands lessen the risk of unauthorized subcontracting which often results in unsustainable practices. In addition, increased transparency can help build trust and brand loyalty. Many brands, such as the Gap and H&M are increasing their transparency by making supply chain information publicly available through their websites. Organizations should have the proper foundation in place to encourage sustainability within the supply chain. Implementing a Code of Conduct and supplier requirements allows brands to communicate their sustainability expectations to suppliers, while supplier audits help take sustainable supply chain management to the next level. Although audits are important, organizations must recognize that “you cannot audit yourself to sustainability;” organizations must ensure that audit findings are remediated to prevent recurrence. Suppliers may in some jurisdictions may not have the resources and infrastructure to address global supplier requirements. As such, brands should engage their suppliers and work with them in order to help suppliers build capacity and address issues uncovered during audits. This requires looking beyond short-term contracts to create long-term partnerships. Brands should also concentrate on collaboration. Working with local governments, NGO’s and other brands can help to build supplier capacity by ensuring that minimum wage equals a living wage, or that suppliers are able to meet the requirements of multiple customers. In order to ensure success, organizations must also recognize that a use a one size fits all approach does not apply. For example, what works for suppliers in China may not work for suppliers located in Bangladesh. Textile waste is an enormous issue in the apparel and textile sectors. According to a recent report by Value Village, Canadians throw away three trash bags of clothes per year, and more than 90% what ends up in landfill could be recycled or re-used. Current market pressures, including material costs, energy costs and changing legislation (e.g. textile bans in landfills), are converging to drive the shift to support the elimination of waste. As a result, many brands like H&M and lululemon, are looking to close the clothing loop. Textile recycling, which involves breaking down fabrics through mechanical or chemical means, is still very much in its infancy preventing widespread adoption. At present pure fabrics, containing only one type of material, can easily be recycled. Blended fabrics, such as poly cotton blends, cause issues as existing technologies require materials be separated into their pure form before they can be recycled. The current separation techniques available often degrade the fabrics to the point where they can only be used for products made of lower quality fabrics (e.g. insulation, filling, etc.). Recycling does not equal re-use. Re-use is currently the preferred method for dealing with textile waste. Although the upcycling trend is growing, scale is still an issue. Traditional re-use involves sending used textiles to secondary markets which are most often located in developing countries. This solution presents its own problems in these markets as local brands cannot compete with the low cost of incoming textiles, and the use of traditional wear decreases. The issue has become so large that some countries are capping or closing their borders to second hand clothes. Collaboration is key to solving the waste issue in the apparel and textile sectors. Many brands are coming together to tackle waste through organizations such as the Ellen MacArthur Foundation and the Sustainable Apparel Coalition. 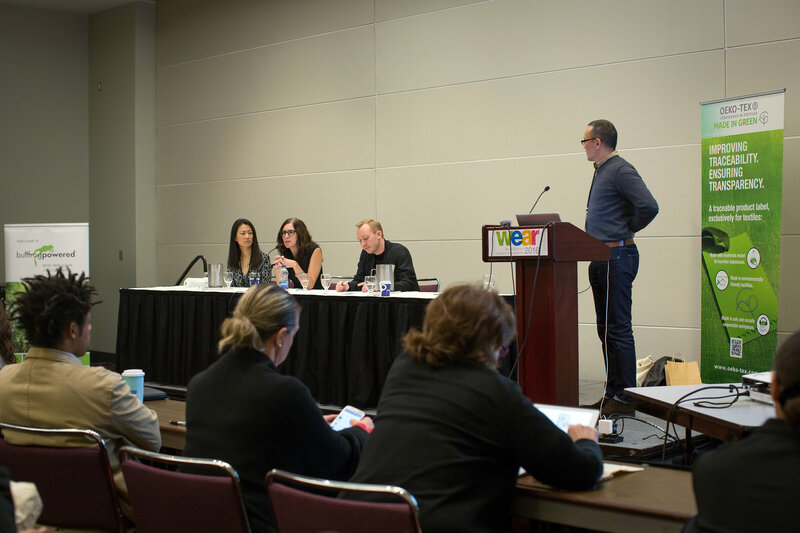 Panelists discussed innovative business models, stakeholder engagement and the role of technology in addressing sustainability issues in the apparel and textile sectors. Many brands, such as H&M and Eileen Fisher, are modifying the traditional business model through take back programs and second life sales to help reduce textile waste. Other brands are engaging stakeholders and educating customers on topics such as how to prolong the life of their products and how to make more sustainable purchases. The role of technology and innovation in developing new textiles and reducing social and environmental harm was also explored during day 1. Topics included wearable technology, the creation of fibers from renewable resources, and technological solutions to environmental issues such as waste and plastic smog. Tavares Group Consulting had the privilege of presenting at WEAR 2016. On the first day of the conference, Sandra Tavares, Principal of Tavares Group Consulting joined speakers from H&M and TESTEX to discuss how management systems, certifications, and other sustainability strategies, can promote transparency within the Supply Chain. On Day 2, the entire TGC team elaborated on the concepts presented during the previous day’s panels and keynotes by hosting two LABS on Sustainability Integration introducing a step-by-step approach to develop and implement an effective and comprehensive sustainability management plan. 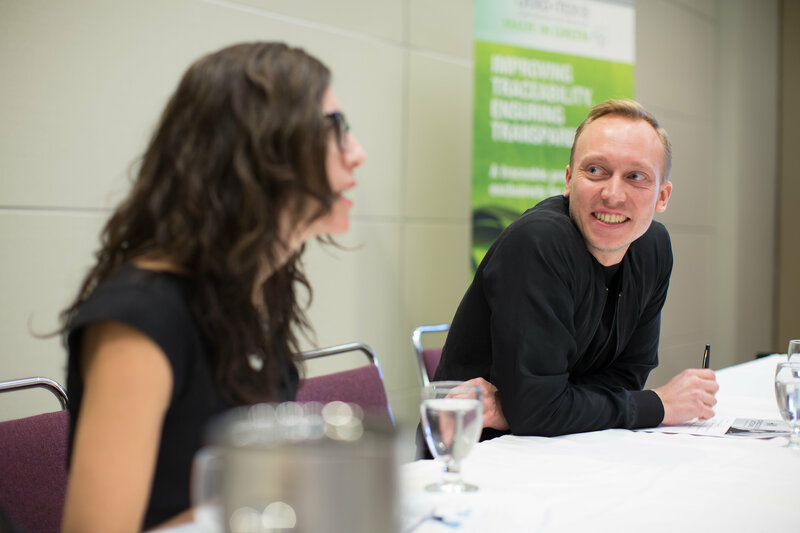 During the workshops participants gained hand-on experience identifying and prioritizing ‘material’ sustainability issues, and learned how to address and proactively manage sustainability within their own organizations and supply chains. WEAR continues to be a premier event promoting sustainability within fashion. Stay tuned to FTA’s website for news on next year’s conference!